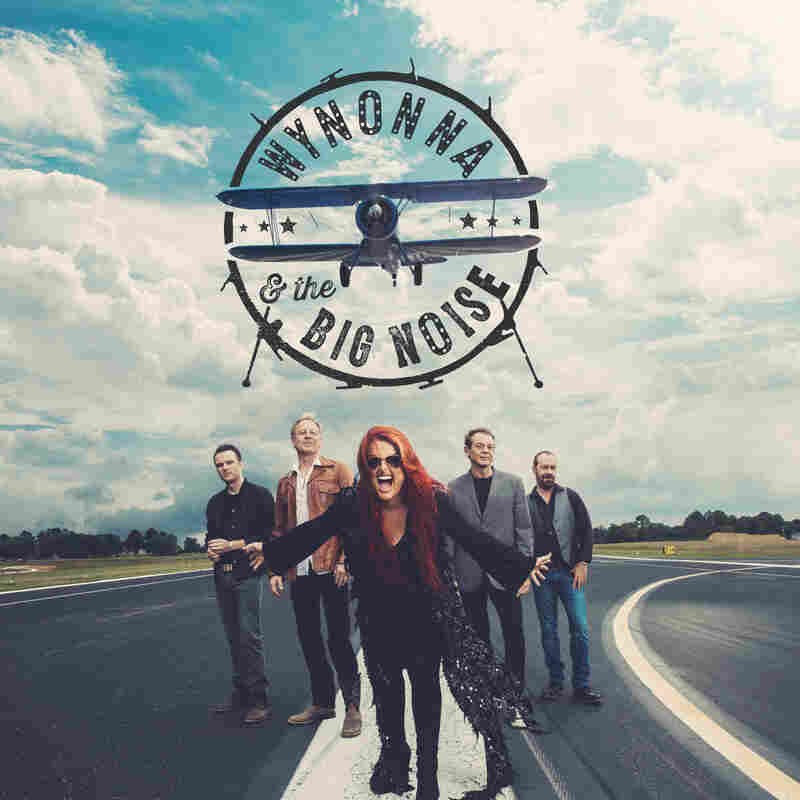 Review: Wynonna & The Big Noise, 'Wynonna & The Big Noise' On her first album in 13 years, one of country's supreme redheads lays bare the joy that is her most potent gift as a vocalist. A certain musical and spiritual condition defines Wynonna Judd's first album with her band The Big Noise — not to mention the first album of original material in 13 years from one of country music's supreme redheads. That quality is joy. It dominates, not just because Judd is performing with a small group led by her husband, the drummer and producer Cactus Moser, letting loose on songs she hand-selected because she liked them rather than out of concern for padding her remarkable roster of hits. Wynonna & The Big Noise lays bare the joy that is Judd's most potent gift as a vocalist. "Joy is the happiness that doesn't depend on what happens," the Benedictine monk David Steindl-Rast once said; as platitudes go, that's a useful one. Applied to music, though, it takes on a different meaning. Joy blends immediacy, the ability to be in the present, with gratitude for simply being in a sentient body. A singer or instrumentalist possessing joy may have exquisite taste or be utterly corny and crass, but whatever the material, she goes all in without anxiously pushing; she finds what's engaging and makes it shine. Elvis Presley, Wynonna's spiritual father, had musical joy. Michael Jackson had it even at his most troubled. Dolly Parton has it. Adele has it, and it helps her cope with a complementary maudlin streak. Wynonna's joy made her a star alongside her mother Naomi in The Judds, and it's kept her legendary as a solo artist despite the typical ups and downs of a country star with the desire to stay current. Now, at 51, she's past fussing over the moment's sonic trends, and on this album she gets down to putting her joy first. Wynonna & The Big Noise is a band album, recorded mostly live in the studio. It's also a genre veteran's typical victory lap, with guests paying homage from inside and outside country and across generations. Judd and Jason Isbell sing a tender duet in the 12-stepping "Things That I Lean On"; Susan Tedeschi and her husband Derek Trucks appear in separate tracks; "Ain't No Thing," the swamp rocker featuring Tedeschi's earthy harmonies, was co-written by Nashville favorite Chris Stapleton. Timothy B. Schmit, the most ethereal member of The Eagles, joins for a sparkling duet in "I Can See Everything," a song he wrote in 1973 as a member of Poco. The guests delineate Judd's intention to move through mainstream country toward a more eclectic sound, incorporating smooth jazz, blues, and a lot of rock 'n' roll; she also covers the swinging "Staying In Love" by soul master Raphael Saadiq and Julie Miller's "You Make My Heart Beat Too Fast," an Americana staple. Wynonna's in the big field now. But she was always there anyway, with her magnificently versatile alto and penchant for both belting and swooning. With her tight band behind her after touring together for several years, she just sounds like she's home. Home for Wynonna Judd is a place grounded in religious faith — Jesus is frequently name-checked here — as well as a marriage that's feisty and sustaining. Moser talked Judd into some of the choices on Wynonna & The Big Noise, like covering Miller's dirty rocker, which turned out to be a perfect fit. The album was recorded at the couple's semi-rural Tennessee home, and it's fun to imagine Wynonna during a session, in her weekend jeans, looking out the window at her favorite view. "Every ending is a new beginning," she sings, her voice sliding into a falsetto. You can just feel the grin on her face.